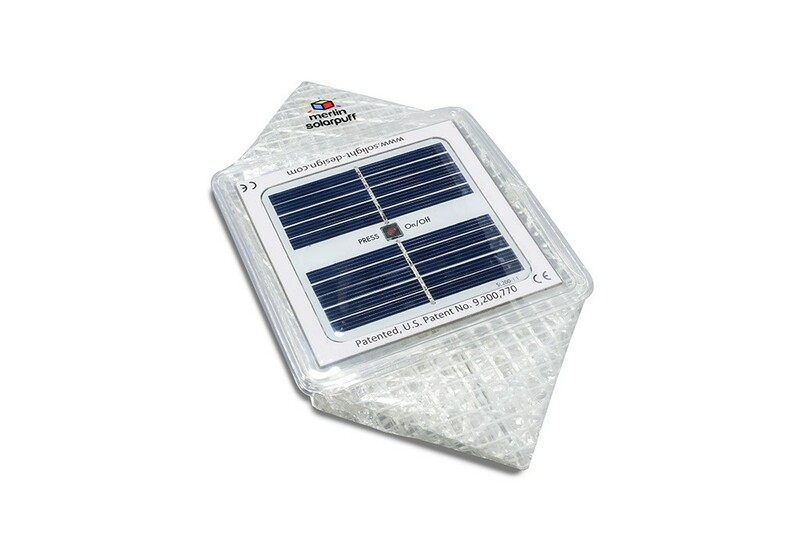 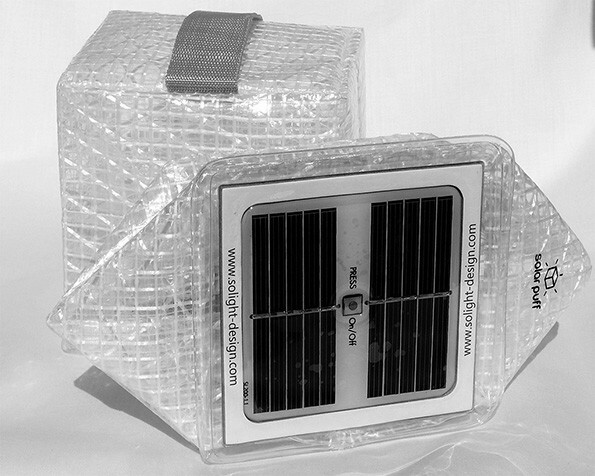 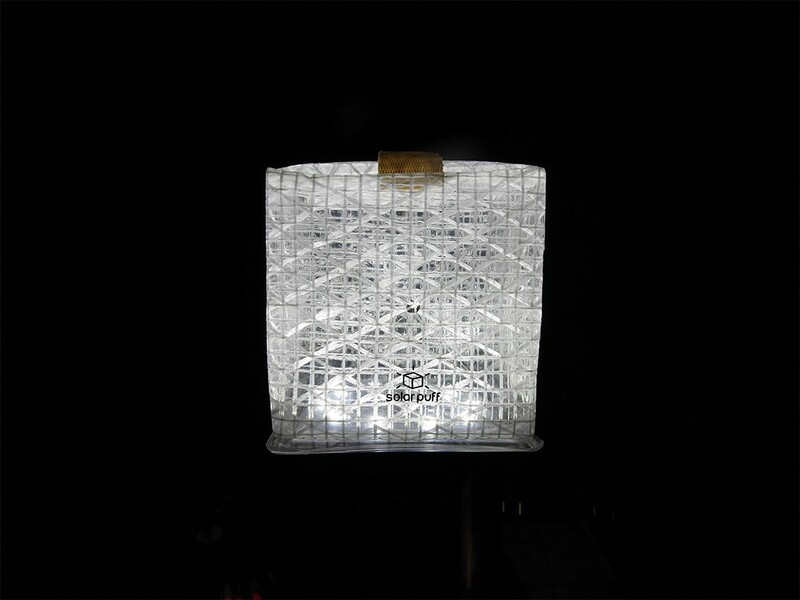 SolarPuff is a small, foldable, environmentally friendly, light (70gr) LED solar lamp. 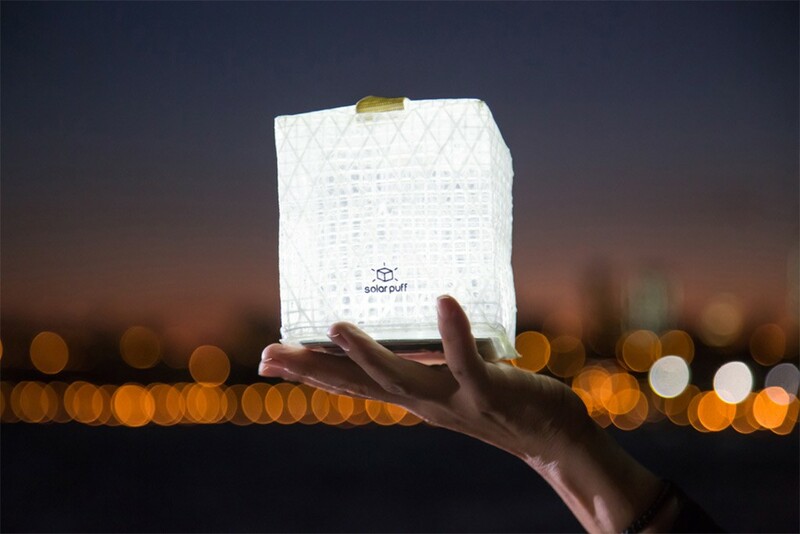 The floatable and water-resistant design camping lamp saves solar energy in the flat battery, which is integrated in the solar panel. Always nice light in wind, rain, high temperatures: with 5 hours charging time there are 12 hours of light with up to 90 lumens at 6 settings / colours: red, green, white, purple, blue and automatic colour change. 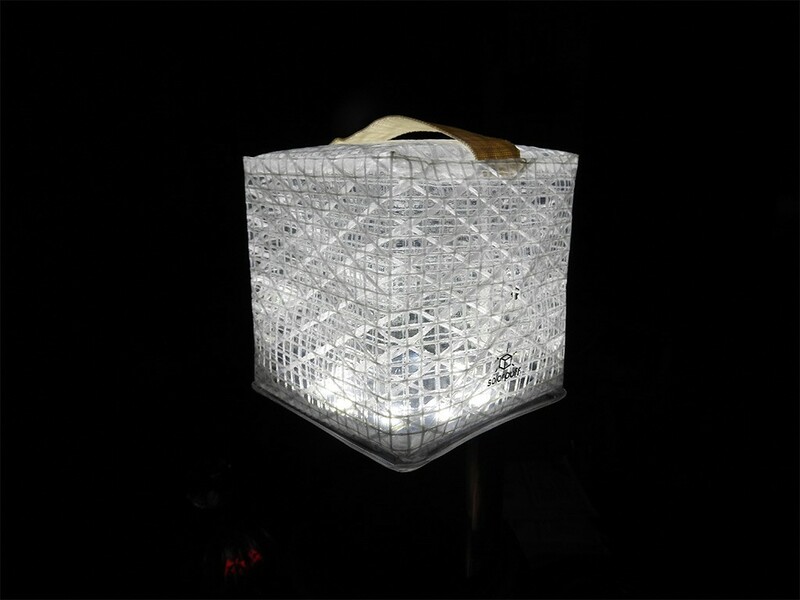 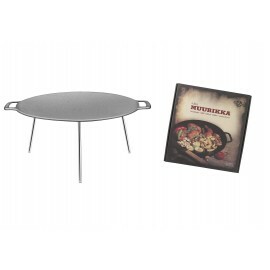 With a handle unfolded it is perfect for water sportsmen, campers, design lovers, environmental conscious and outdoor kitchens / sports. 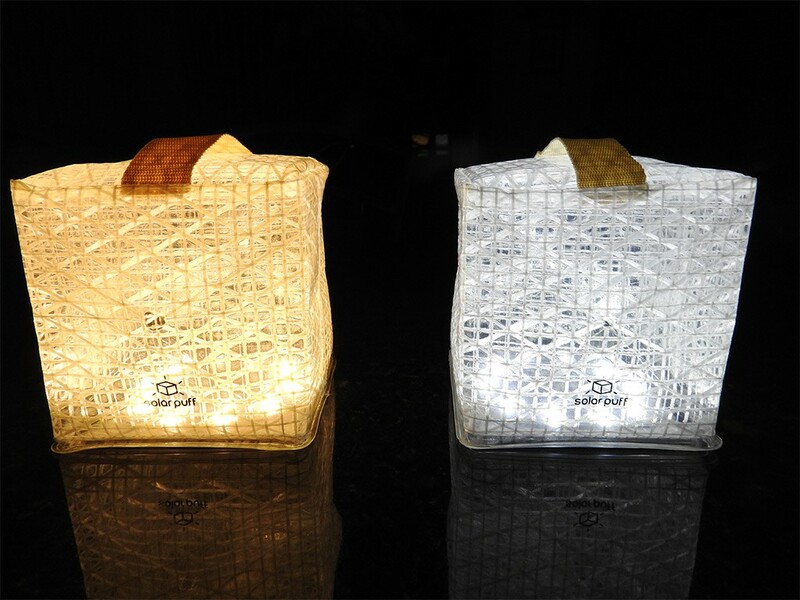 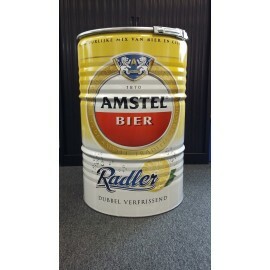 We love it now: is not only with our outdoor activities, but also in the cocktail bar as table light, on the bike at night the enlightenment and fits in every trouser bag. 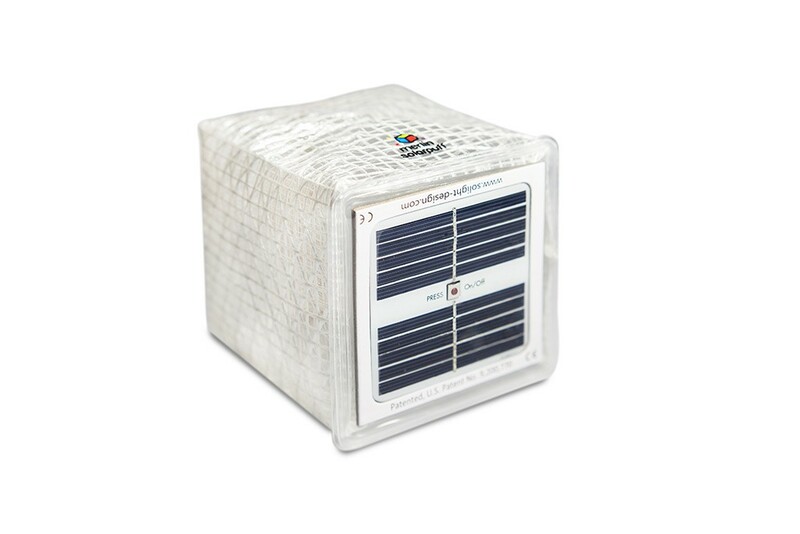 The SolarPuff is so flat, it can be carried in a pocket, purse or backpack and lit up a room of up to 9m². 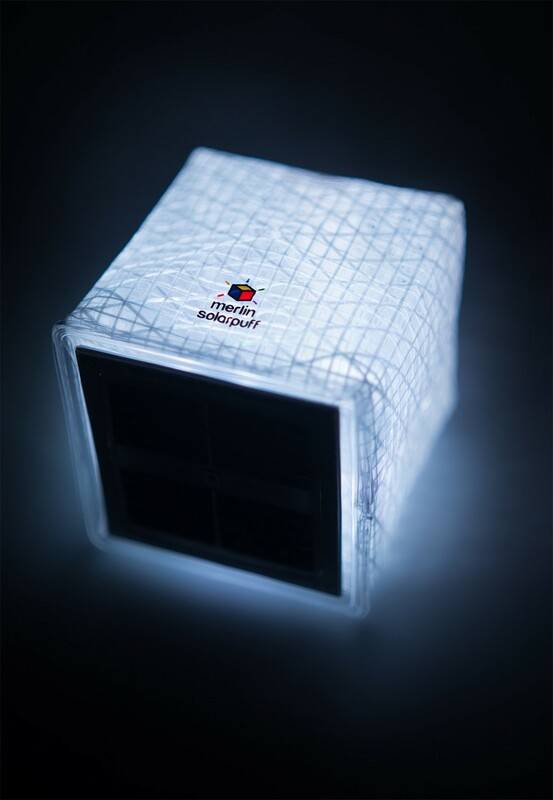 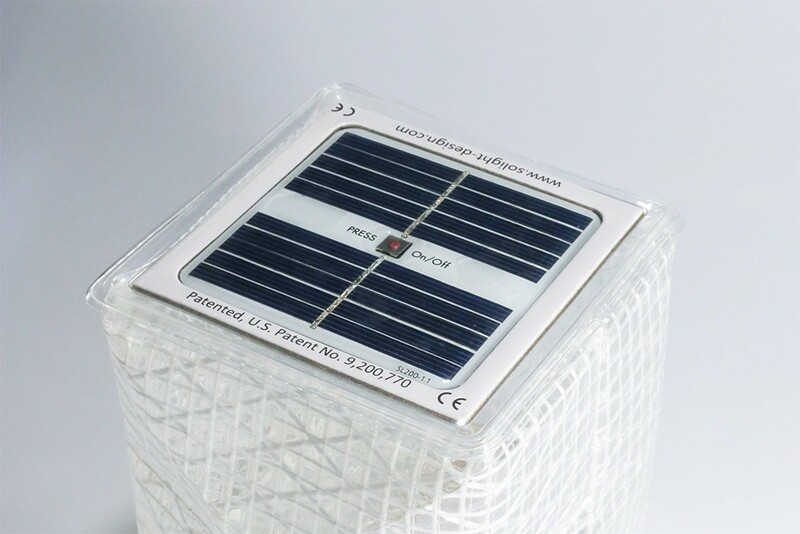 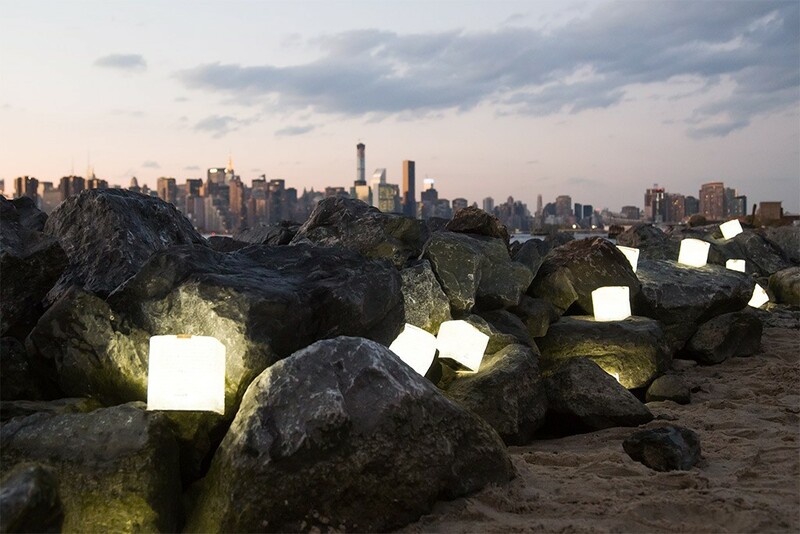 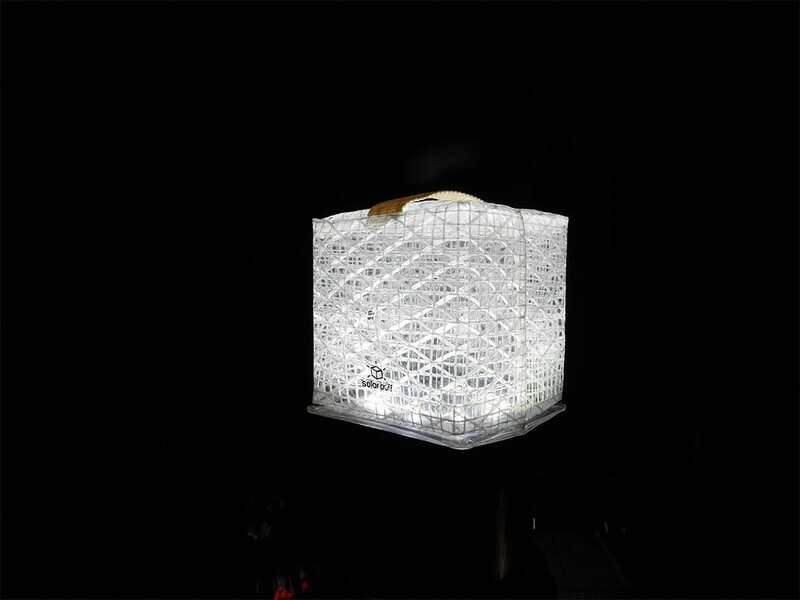 The SolarPuff consists of four main components: a solar panel that captures photons from sunlight or artificial light; a rechargeable internal lithium-ion battery that stores electricity; LED bulbs that produce light and PET material which has been specifically designed to unfold it into a cube. 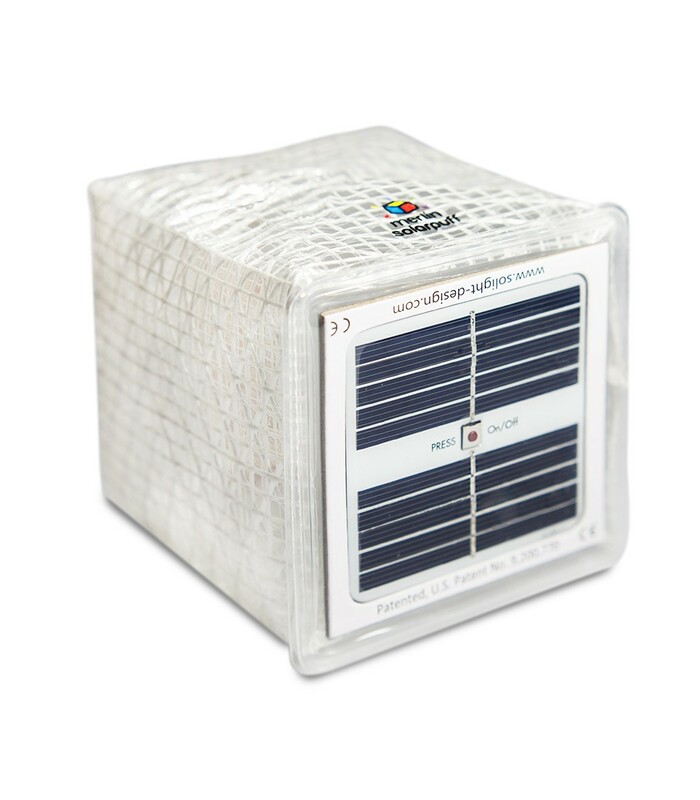 The SolarPuff holds 300-500 complete charge cycles, so the durability depends on the frequency of use. 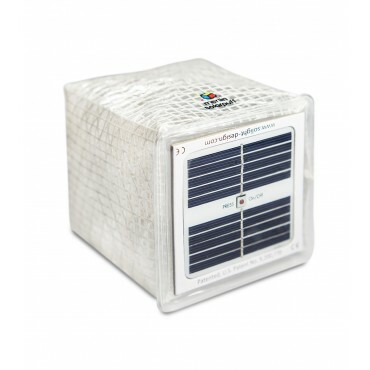 If you complete every single day invite the SolarPuff and completely discharged, the SolarPuff will keep for about 2 years. 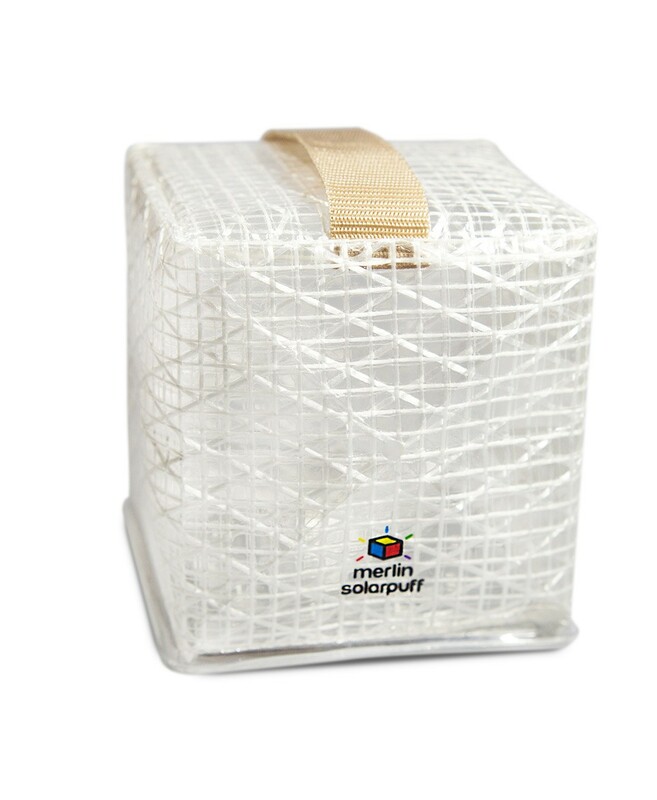 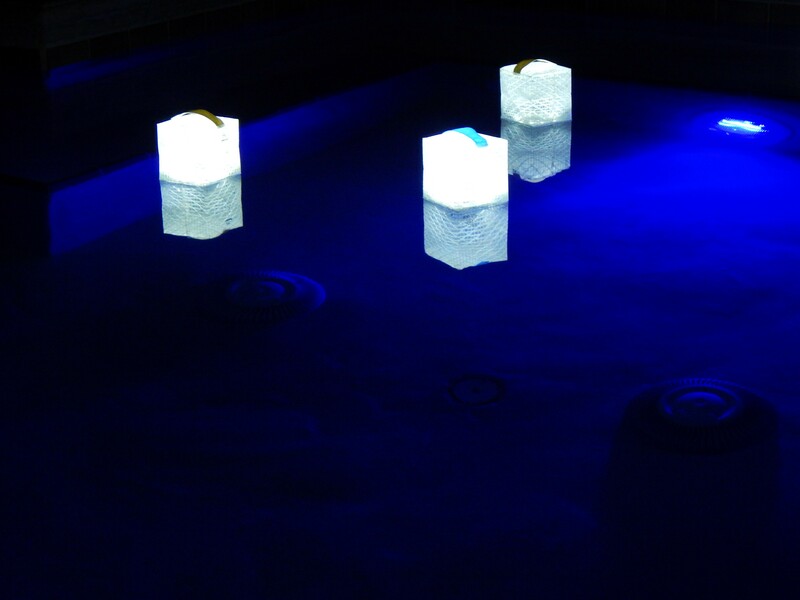 The SolarPuff was developed for outdoor use and can extreme temperatures, wind and rain withstand. 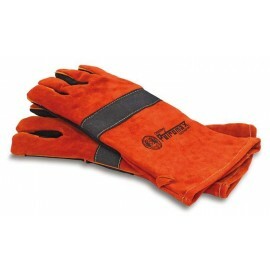 It is waterproof and can be used safely in the rain, on boats or in salt water or a chlorinated pool.